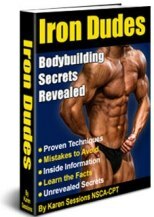 Get Ready For The Most Amazing Gains You Have Ever Seen! There is one good reason why three out of four of the ’96 summer Olympic medallists used creatine: it works and it works well. A French scientist first discovered creatine in 1832, but it was not until 1923 that scientists discovered that over 95% of creatine is stored in muscle tissue. The first published report of creatine having bodybuilding effects was The Journal of Biological Chemistry in, get this, 1926! Although we’ve known about creatine for quite some time, the first real use of it to enhance performance was the 1992 Olympic games in Barcelona, Spain. So, what is creatine? Our bodies naturally make the compound, which is used to supply energy to our muscles. It is produced in the liver, pancreas, and kidneys, and is transported to the body’s muscles through the bloodstream. Once it reaches the muscles, it is converted into phosphocreatine (creatine phosphate). This high-powered metabolite is used to regenerate the muscles’ ultimate energy source, ATP (adenosine triphosphate). 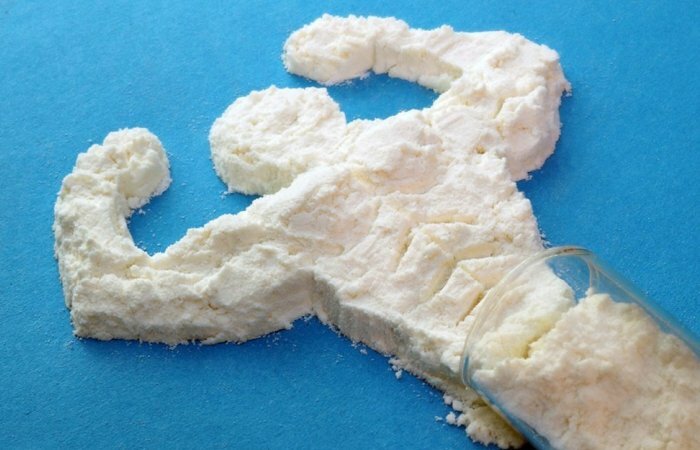 Creatine is bodybuilding’s ultimate supplement, and for good reason. For one thing, creatine can significantly increase lean muscle mass in just two weeks. It is also responsible for improving performance in high-intensity exercise, increasing energy levels, and speeding up recovery rates. 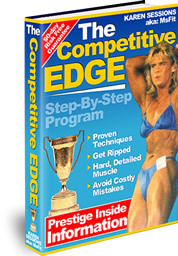 It’s no wonder athletes who use it have such of an edge over those who do not. Soon nearly every athlete who competes will use it (if they don’t already). Creatine’s ability to enhance energy reserves in muscles comes from its muscle protein synthesizing action, while minimizing protein breakdown. This occurs because creatine has the awesome effect of super-hydrating muscle cells with water. 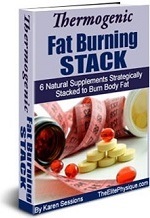 It enhances muscles’ growth too-making muscle fibers bigger and stronger. I heard that creatine and caffeine can be consumed at the same time. But an article I read claims caffeine inhibits the absorption of creatine into muscle tissue. Which is true? There was a controversial research study published in 1996 in the Journal of Applied Physiology about creatine and caffeine; however, if you study that article closely, you’ll find that caffeine had no effect on creatine uptake into muscle. A more recent study by Vanakoski, et al. in 1998 investigated the pharmacokinetics of caffeine and creatine, both alone and in combination. They reported when creatine was used alone or even in combination with caffeine that, “creatine was rapidly and efficiently absorbed, as reflected by plasma concentrations.” Because researchers concluded that creatine was efficiently absorbed even when combined with caffeine, it does not appear from the results of this study that caffeine exerts a negative effect on the uptake of creatine into muscle tissue. I have heard conflicting information about cycling creatine. Should I or shouldn’t I? Some studies support creatine cycling and others do not. There are a couple of different “cycling” strategies you can try: 1. Stay on creatine all the time, but reload once every six weeks; 2. Load for a week, stay in your maintenance phase for six weeks, then stop taking creatine completely for a couple of weeks. Repeat. I mix creatine with my workout drink in the morning, but sometimes I don’t actually finish it until several hours later. Is creatine stable in solution this long? Creatine is not totally stable in solution, so it’s definitely not a good idea to keep it mixed with liquid for days, but there shouldn’t be a problem mixing it six to eight hours before it’s consumed. Any longer than that and you may be pushing it. Creatine supplementation seems to increase muscle strength. Would it make a person’s heart stronger since it is a muscle too? Research has shown that the cardiac tissue of laboratory animals does, indeed, take up creatine; not to the same magnitude as skeletal muscle but to some degree. There’s been a lot of press coverage in the past about creatine and muscle cramping. Are studies underway to investigate this? Many scientific studies have been published and presented about creatine over the past years, and we have never seen any scientific evidence that creatine increases an athlete’s chances of experiencing muscle cramps or “pulls.” In fact, results from one recent study conducted at the University of Memphis (entitled “Effects of Creatine Supplementation During Training on the Incidence of Muscle Cramping, Injuries, and GI Distress”) revealed no reports of muscle cramping in subjects taking creatine-containing supplements during various exercise training conditions. Among the test subjects were elite junior swimmers, college football players, and trained and untrained endurance athletes. Is the loading phase with Creatine necessary to experience any benefits? Necessary is a rather strong word. The loading phase is not required when using Creatine, but results of our university studies indicate that the loading phase helps you reach that magic muscle-creatine saturation point quicker than if you just started out with the maintenance dose. You can reach the same creatine saturation point by taking one serving of Creatine for 30 days as you would from loading for 5 days, but most people aren’t interested in waiting a month for results they could see in a week or less. Are there any unfavorable effects with using Creatine? 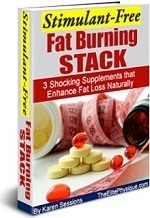 Creatine occurs naturally in many foods, with an especially high concentration in red meats and fish. 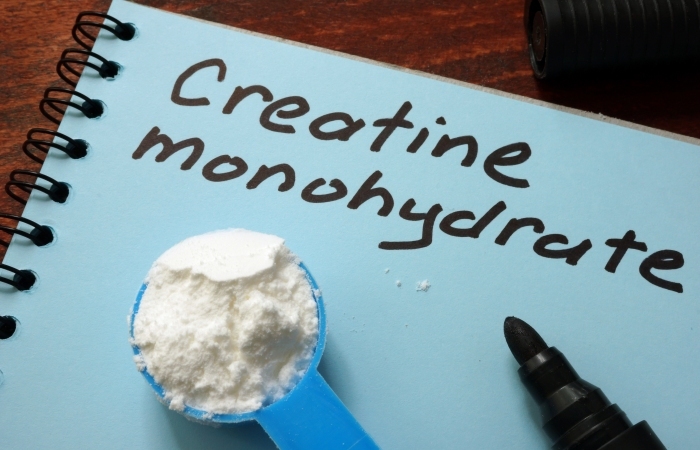 While using Creatine, you may notice increased urination, but this is simply due to the extra volume of liquid you’ll be drinking when mixing your Creatine. If you do not wait three to four hours between doses, you may experience some stomach discomfort. 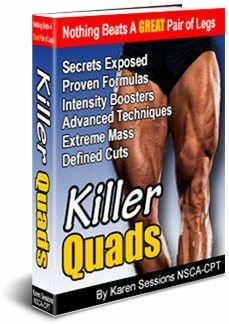 This is easily resolved by spacing your Creatine dosages throughout the day or cutting dosages in half for one to two days. What is the advantage of taking creatine in a powder versus a capsule or tablet form? Powder can be absorbed by the bloodstream more efficiently than a pill, which has a coating that must be digested first. Also, creatine is taken in gram amounts-which means, you’d need to take 20 1-gram capsules or 40 tablets per day to load. Needless to say, powder is much more efficient. If I’m trying to lose fat, should I worry about the calories in Creatine? No. Creatine has no caloric value. ORDER NOW using our 100% secure server and get it at the lowest prices in the world with our fast, inexpensive 2 – 3 day shipping! 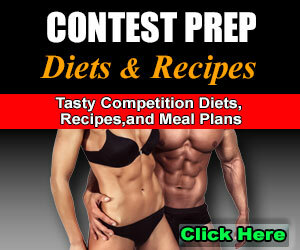 NO BODY beats our overall price at bodybuilding.com!